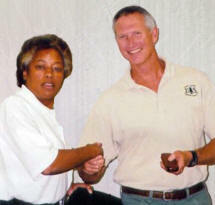 Randy Moore is the Regional Forester of region 5, Tina Terrell the former Supervisor for the Cleveland National Forest, Thomas Gillett the former District Ranger of the Descanso Ranger District, Owen Martin the Ranger for the Descanso District and William Metz the Supervisor for the Cleveland National Forest. These people are part of a corruption ring aimed at depriving citizens of constitutional rights, property, and have engaged in acts against citizens that include, intimidation, threats of violence, defamation, perjury, graft, conspiracy, stalking, abuse of authority, aiding and abetting fellow employees to do the same and defiance of congressional mandates. All have engaged in arbitrary and capricious acts against citizens. 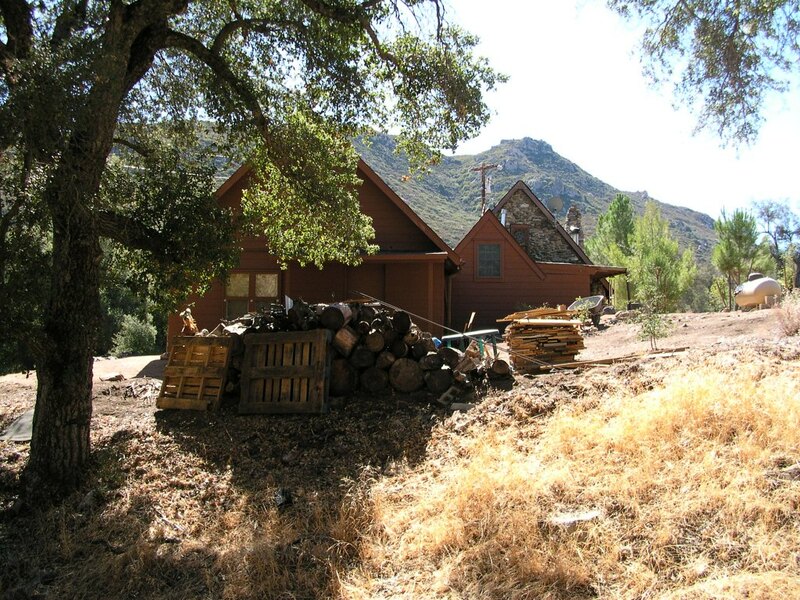 The following pictures give evidence of corruption and graft within the U.S. Forest Service. 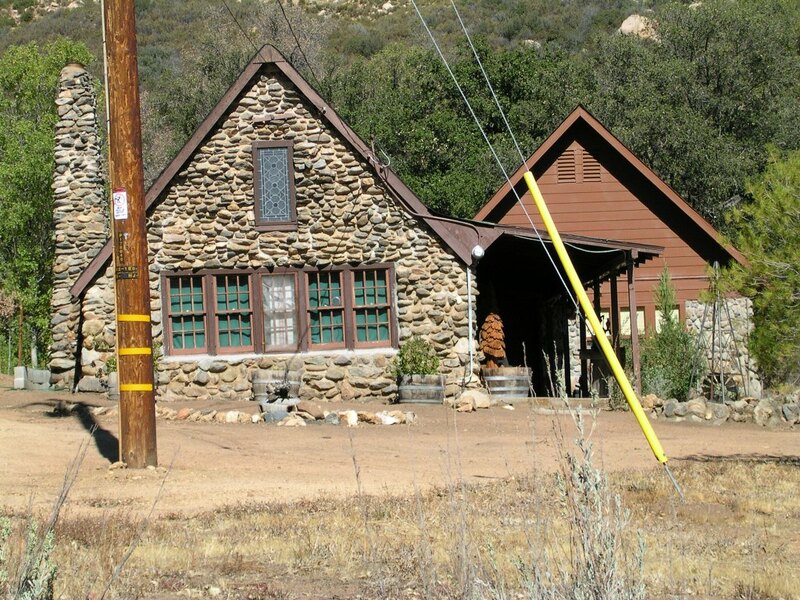 These pictures are of recreational residences in the Cleveland National Forest. They exist on public land per the 1915 Term Permit Act by Congress. 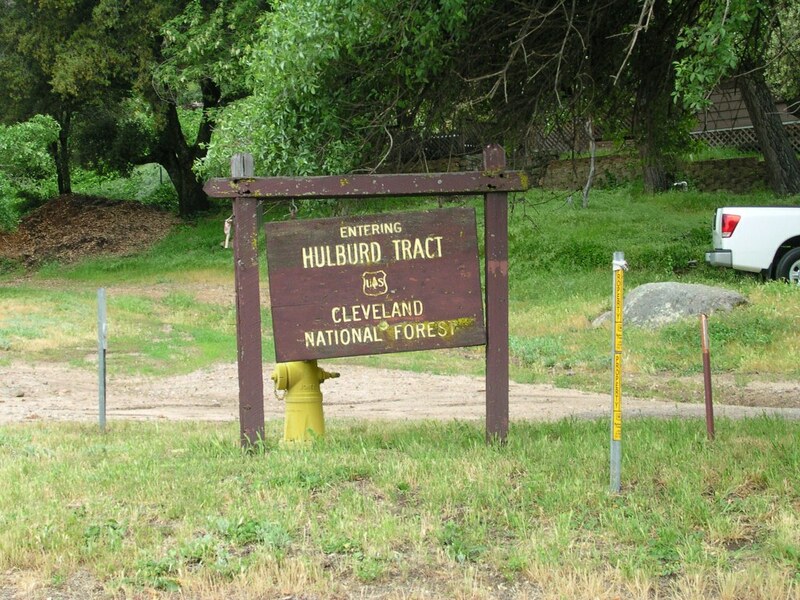 The Act is administered by the U.S. Forest Service. 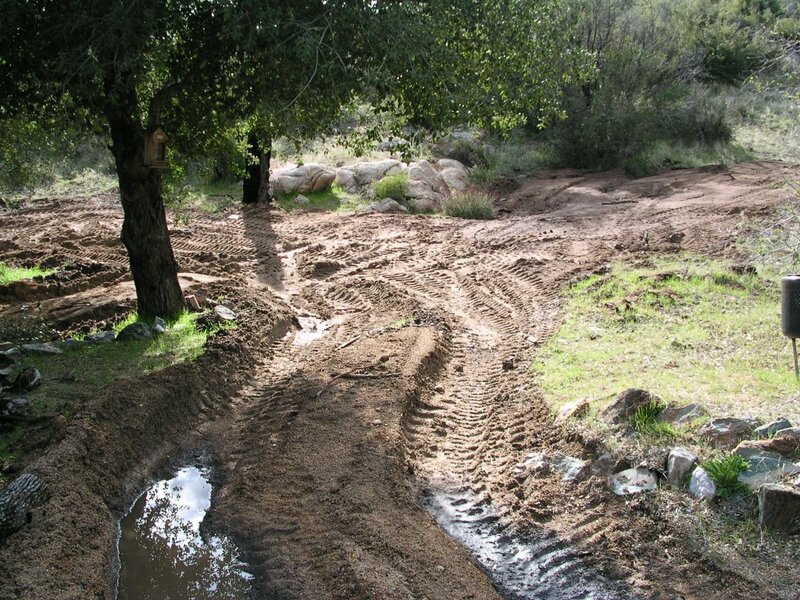 The Forest Service has authority to create rules and regulations for administering the program in so far as such rules and regulations do not infringe upon the wording, meaning and intent of the Act. However, in the past the Forest Service had abused its authority which resulted in citizens seeking relief in the court system. The courts however did not get involved in what they called 'disputes'. One of their reasons was they claimed they had no expertise to know how best to administer the Act. Therefore they stated they did not want to second guess the Forest Service or the meaning and intent of the Term Permit Act. Thus armed with the knowledge of this protection Forest Service employees understood that they had absolute power over Term Permit holders. Thus it did not take long for such absolute power to lead to extreme corruption and blatant abuse of citizens. Due to public outcry the Forest Service finally published some rules in or around 1980. However despite the publication of such rules the courts still refused to hear cases brought by Term Permit holders. Such refusal demonstrated once more that the courts just don't care about citizens' constitutional rights. 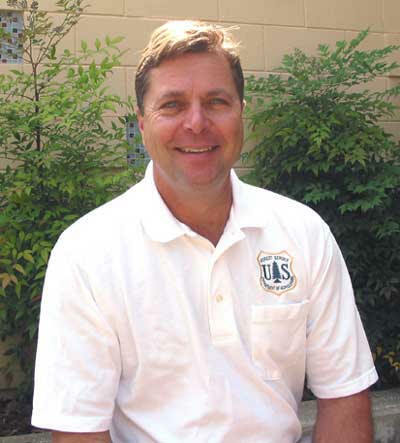 As a result the U.S. Forest Service is now ripe with corrupt individuals abusing citizens and getting rich off the graft from those citizens capable of and willing to buy what they want. The Forest Service, and by proxy the United States Government, has thus betrayed the public trust and violated the Constitution and thus has become public enemy. The pictures below demonstrate corruption and represent blatant violations. Permit holders who do not pay to violate the rules and speak out to expose corruption are singled out, and the rules are selectively distorted and enforced against them. 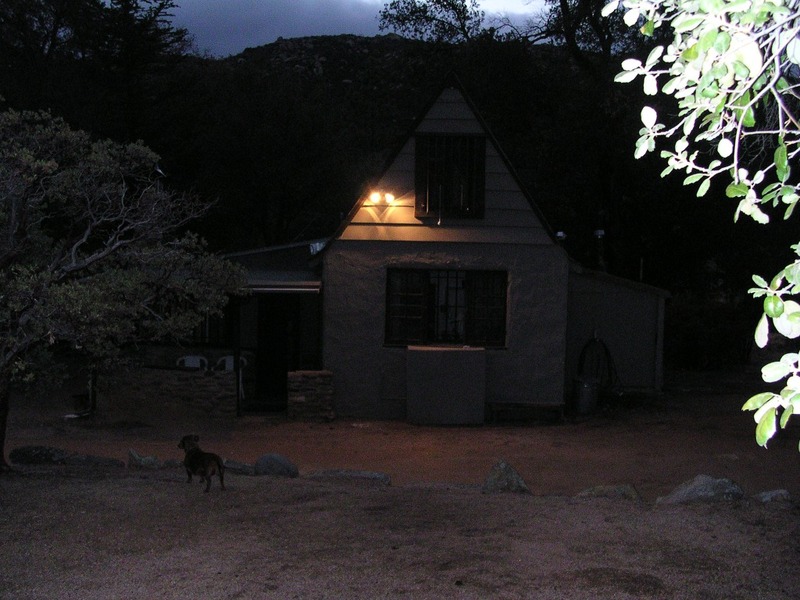 On June 9th 2004 Thomas Gillett ordered a swat style action, using Forest Service police to threaten and intimidate owners of a cabin in the Cleveland National Forest in Pine Valley, California. At least 10 heavily armed officers stormed onto lot 7 in the Pine Creek tract, destroyed personal property, surrounded the home in a tactical formation and stood with their hands on their guns ready to draw and fire. 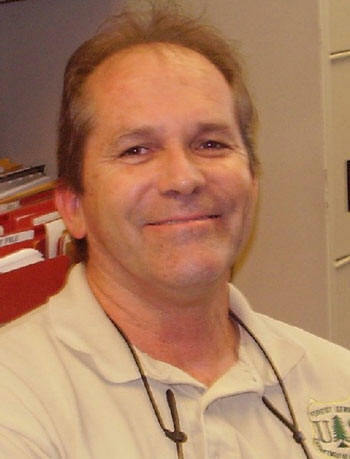 Mr. Gillett's reason was he felt his employee had been threatened when doing an annual inspection. 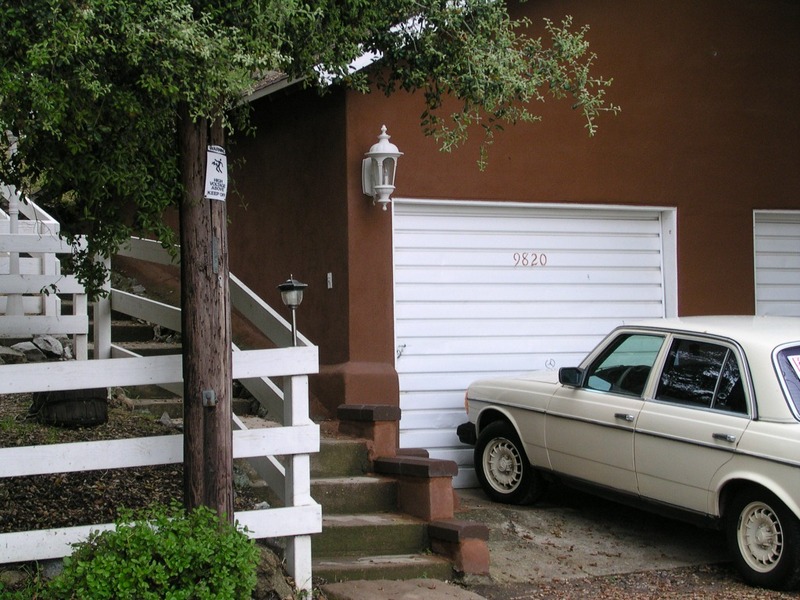 Fact is the employee Sally Goodrich became belligerent when told by the owners about a modification of their Term Permit contract, a modification that required notification before coming onto lot 7. After she threatened arrest unjustly, the only threat she encountered from the owner was threat of a lawsuit and a call to the local sheriff due to her belligerent behavior. 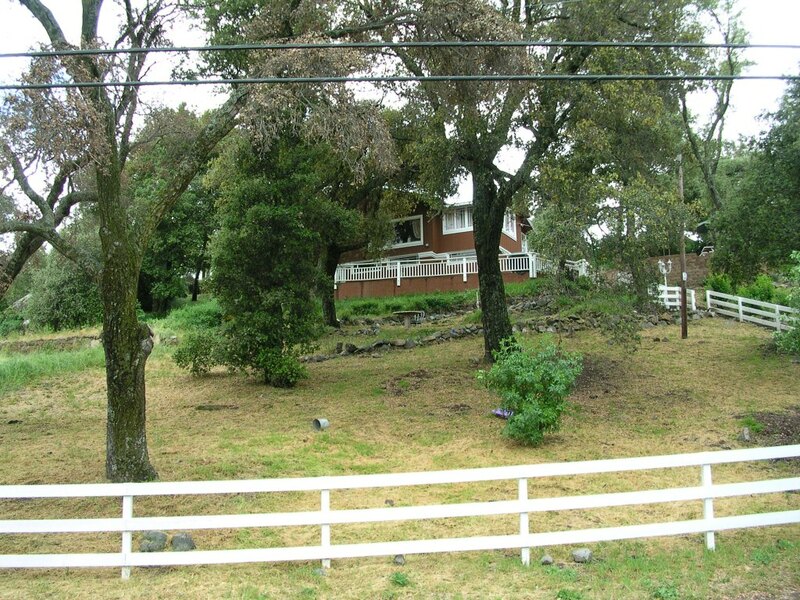 On June 1, 2009 William Metz threatened the owners with seizure and destruction of their home if they did not comply with demands he made. However his threat came after he was criticized for not administering the Term Permit according to new congressional rules. Criticism came after Metz had interacted with the owners for 6 months on the new permit, a permit that several hundred permit holders were to receive in 2009. 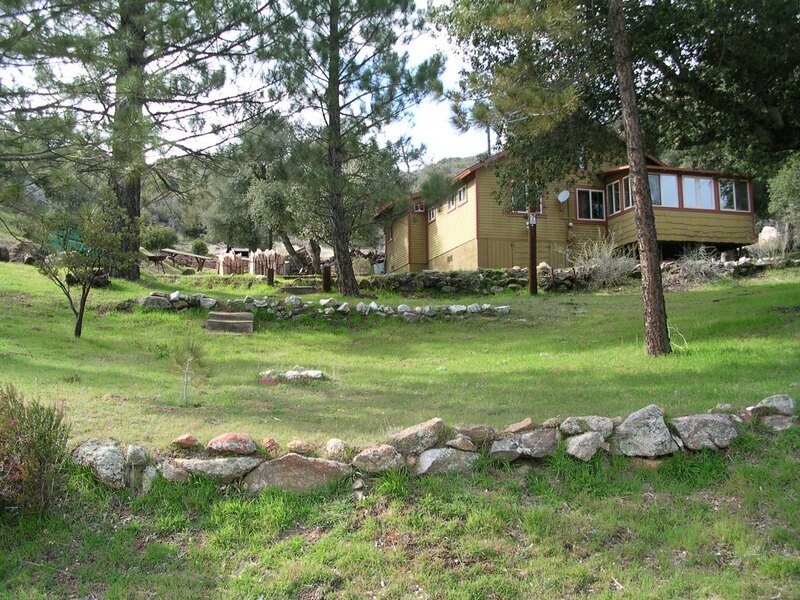 In 2010 the government sued to take away cabin 7 in the Pine Creek tract from the couple they had terrorized and falsely accused of permit violations. 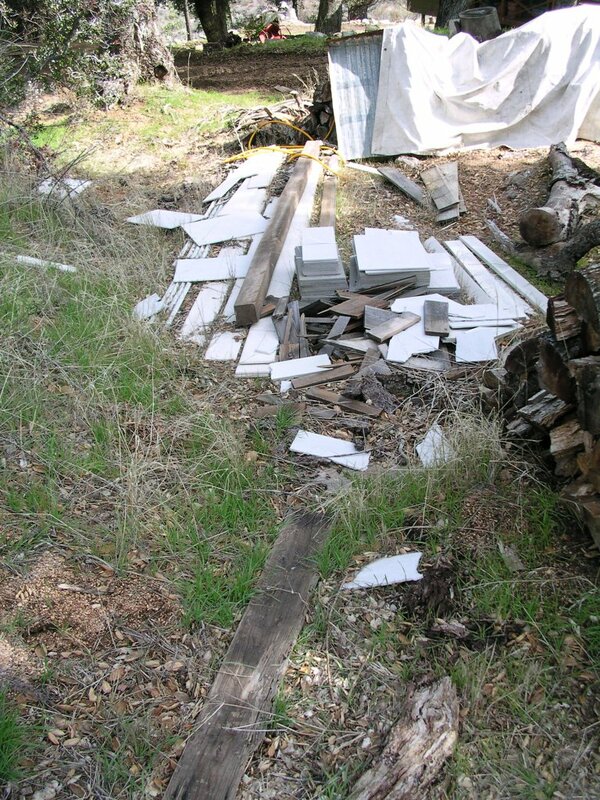 In 2011, without trial, the court ordered seizure and destruction of the couple's home and that same year Forest Service destroyed it and hauled it away and billed the couple for the work to do so. In 2015 appeal of that order was denied by the 9th Circuit Court of Appeals therefore leaving no further possibility for justice in the governments legal system and thus forcing justice to be acquired in the system that is above the government system. 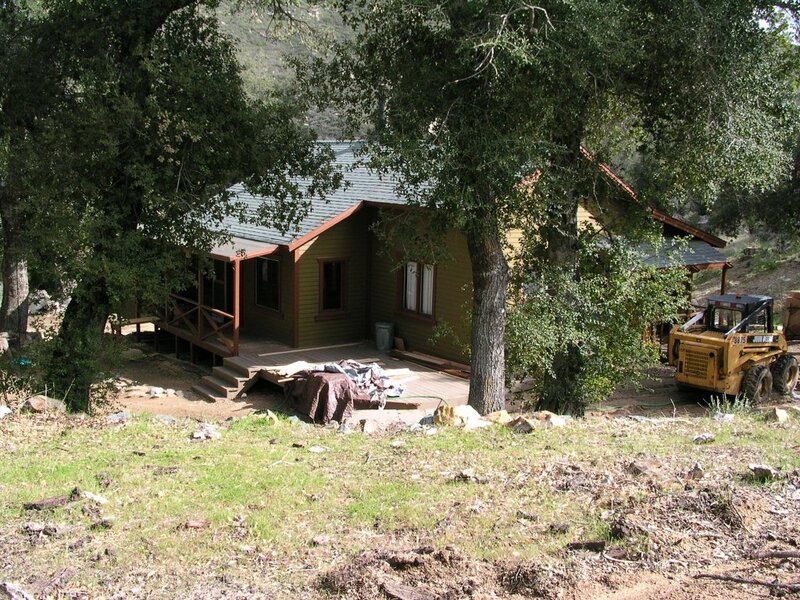 Cabin 23 PCT, new owners asked for permission to build an addition and were given the go ahead despite the fact that another cabin owner had been waiting for years without approval. 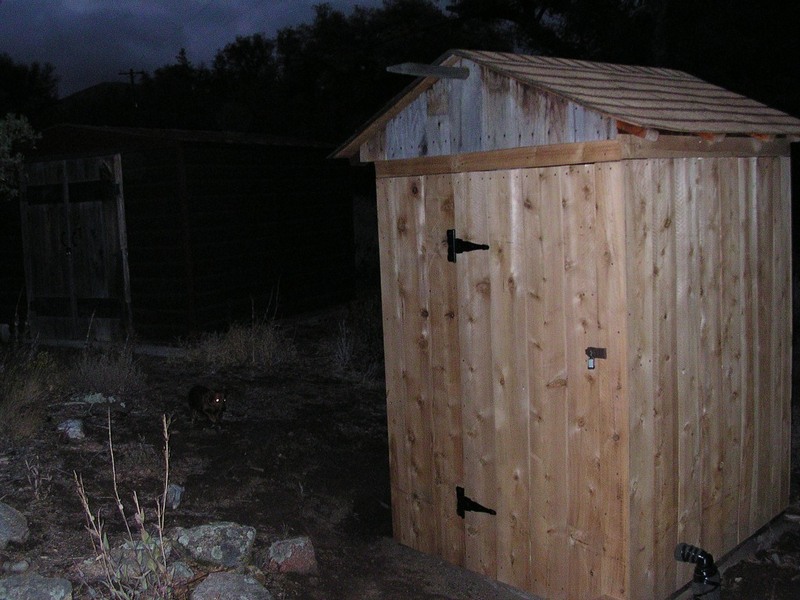 Besides the addition an unapproved massive shed was built. It still stands and the owners had their new permit approved. This owner is also a full time resident. 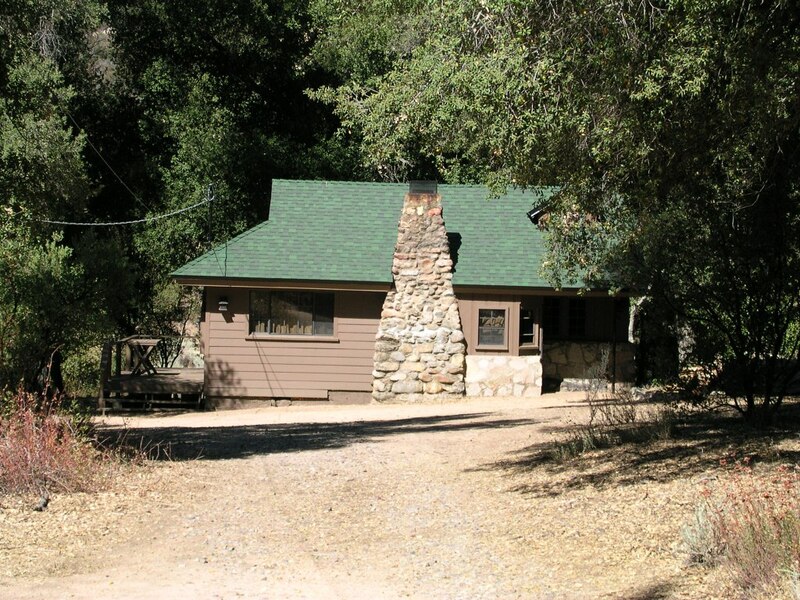 Cabin 11 HT, owner is a FS employee at the Descanso Ranger Station in Alpine, this place in one big mass of FS rules violations, exterior night lights, fences, mail box, gazebo. This family is also full time residents. 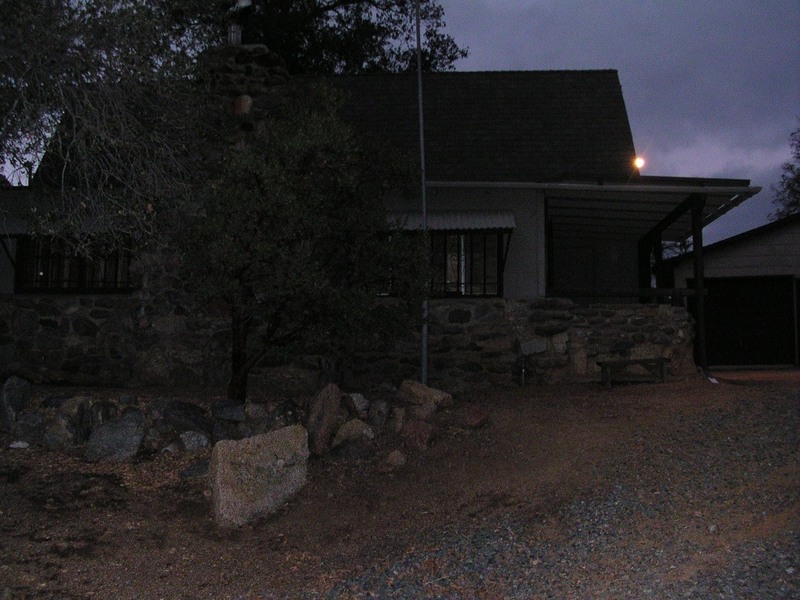 Cabin 11 HT, extensive fencing. 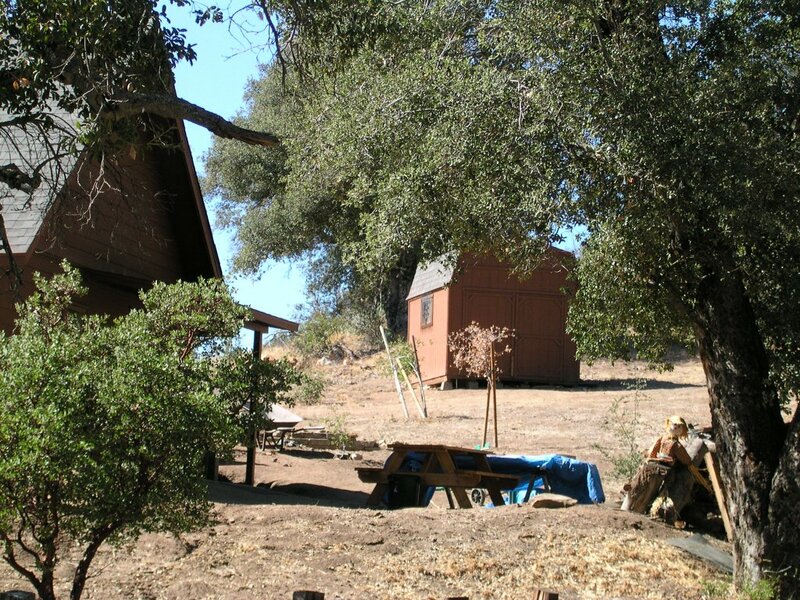 Cabin 11 HT, more fencing and can see night lighting. Cabin 11 HT, garage, night lighting, it is amazing how FS turns their heads for their own. 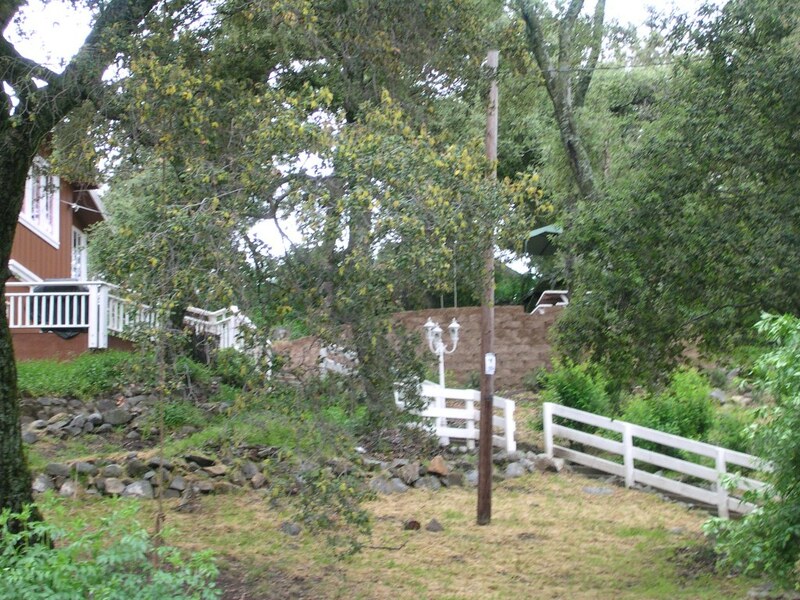 HT entrance sign off of Oak Grove road in Descanso. 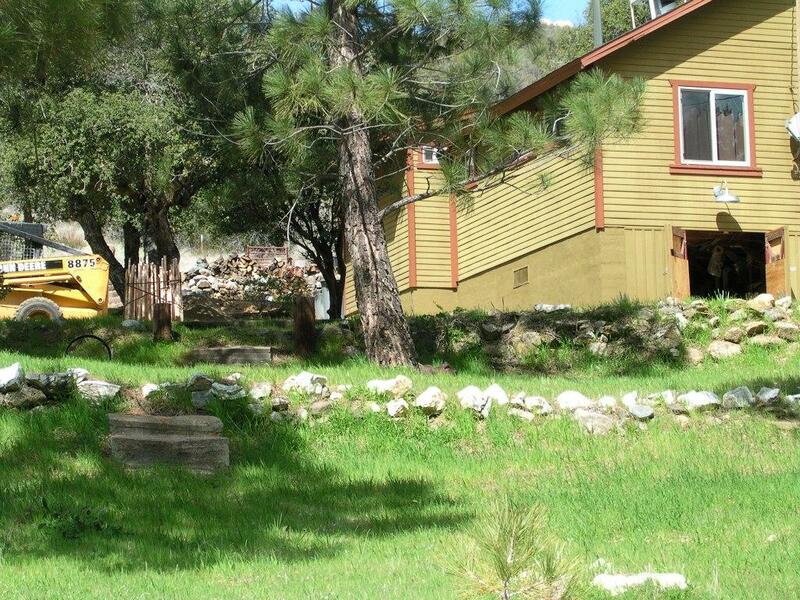 Cabin 25 PCT, extensive remodeling and earth moving and illegal construction of outdoor fire and bar-b-que pit. 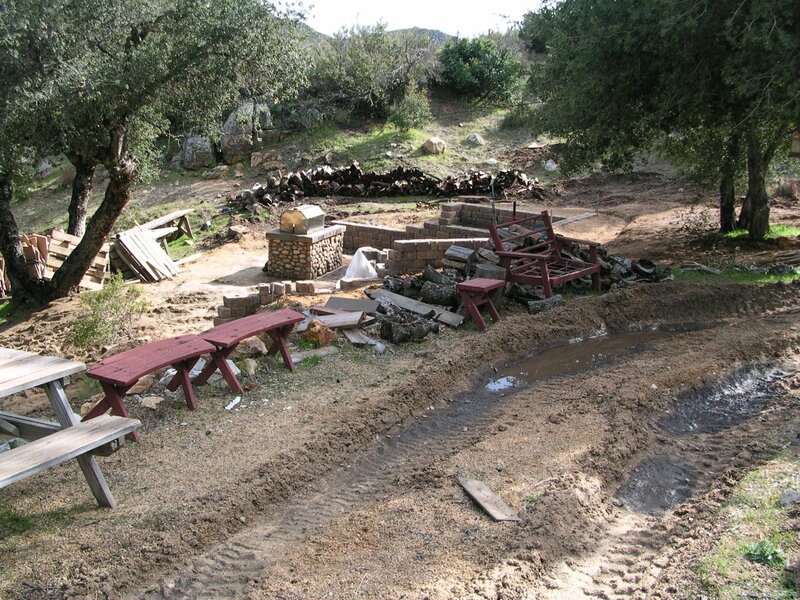 In the foreground is a pile of asbestos crumbling away, the excavations are for an outdoor bar-b-que pit and seating. This cannot better illustrate how money can buy FS to break the rules. It is highly suspect that FS employee Susan DeSonia got her palm greased from this well to do lawyer owner. He periodically has parties with people camping on his lot in motor homes and campers. At one time at least 3 campers and two motorhomes were seen. 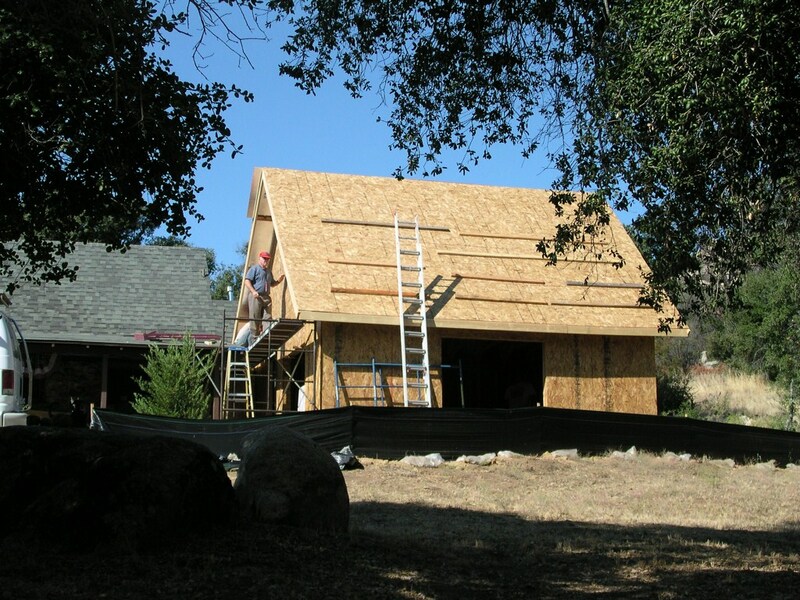 We point out that this major remodeling and building took place while another cabin owner had been waiting for years without approval for just a minor addition. Cabin 25 PCT pile of asbestos. 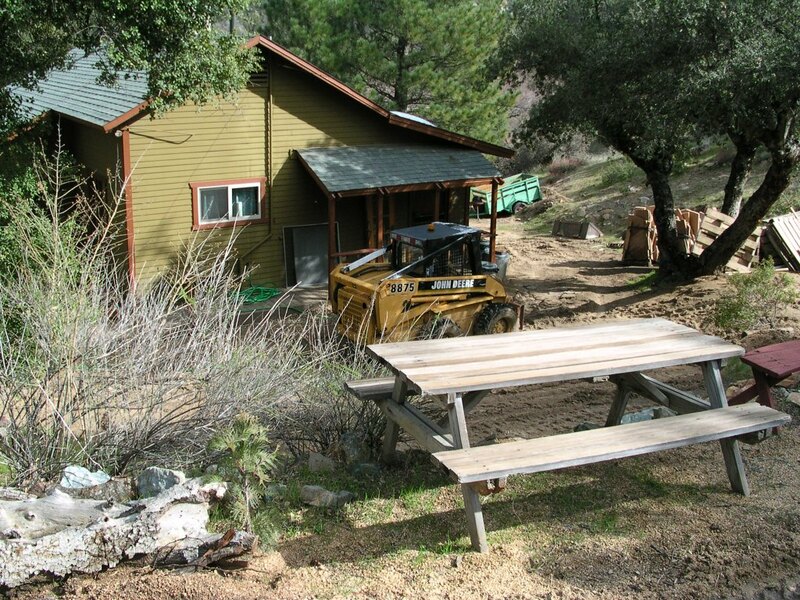 Cabin 25 PCT, earth moving equipment used to scrap about half an acre of land to build the bar-b-que pit and create a new road to a remotes shed. 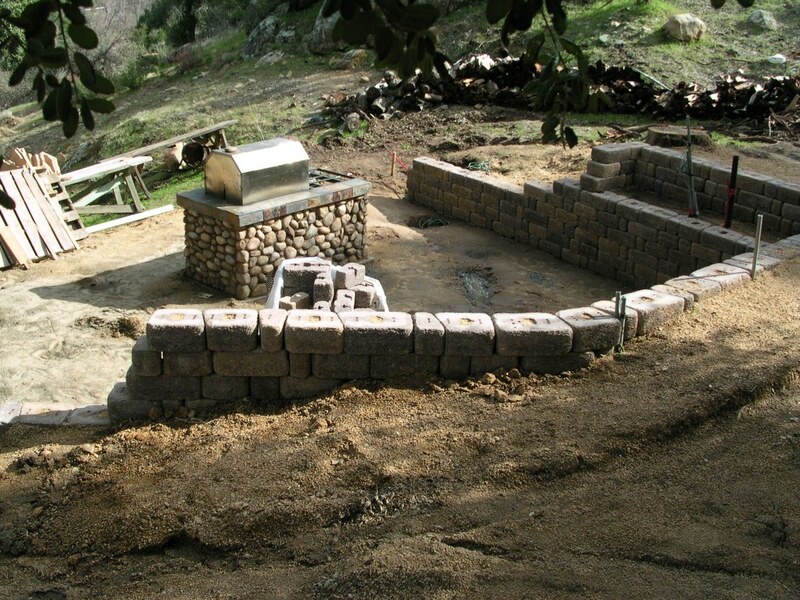 Cabin 25 PCT, bar-b-que pit, retaining walls with seating and paved ground. This is completely against the rules yet here it is and this person even had a new 20 permit renewed. 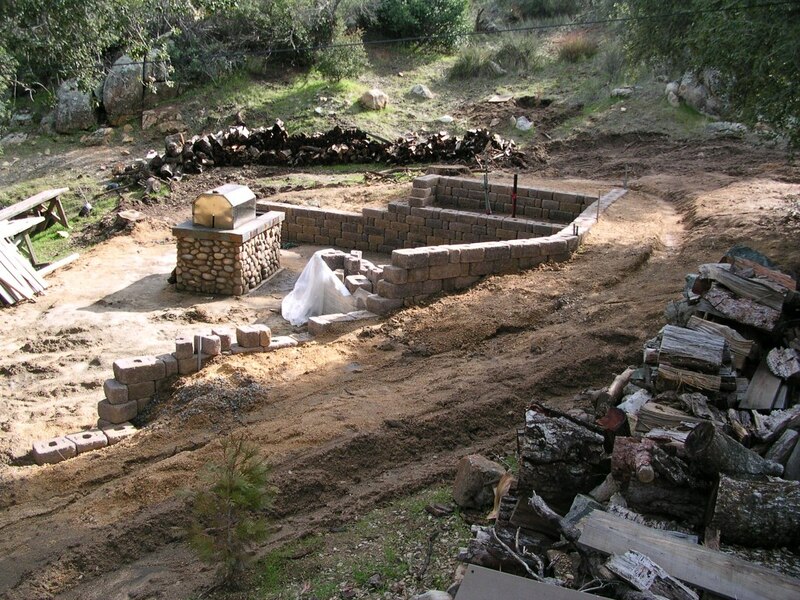 Cabin 25 PCT, here you can see the massive extent of the earth moving and construction. 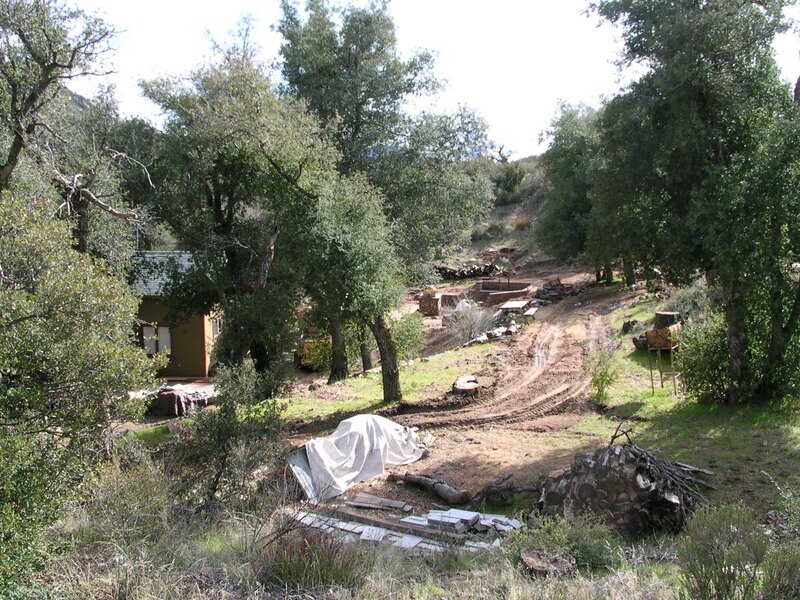 How did this person get permission to cover ground that is supposed to be arroyo toad protected habitat? Mrs. DeSonia must have a well lubed hand. You should see her house in Pine Valley, her husband was a line man for the local utility company yet between them they somehow manage to live very very comfortably by the appearance of their home and motor vehicle toys. 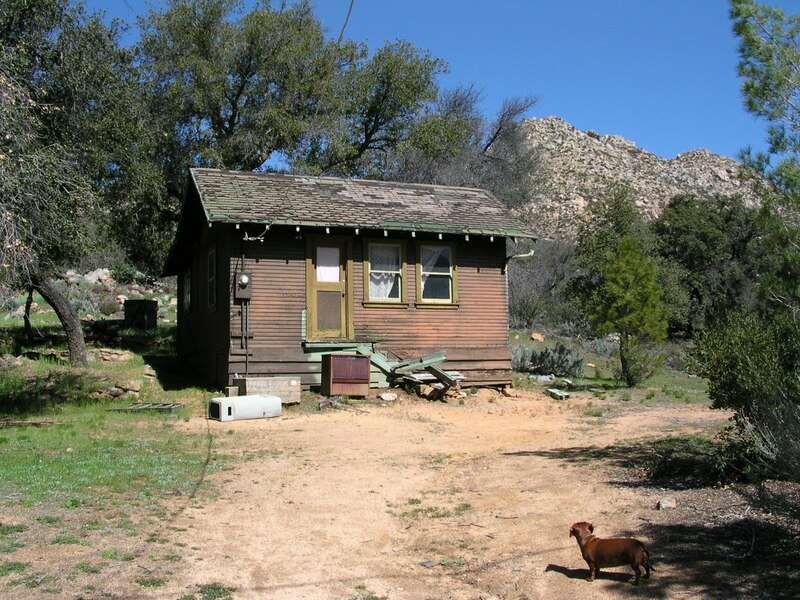 Cabin 25 PCT, view from the dirt road in front of their cabin, opposite this is Pine Creek just a few yards away. 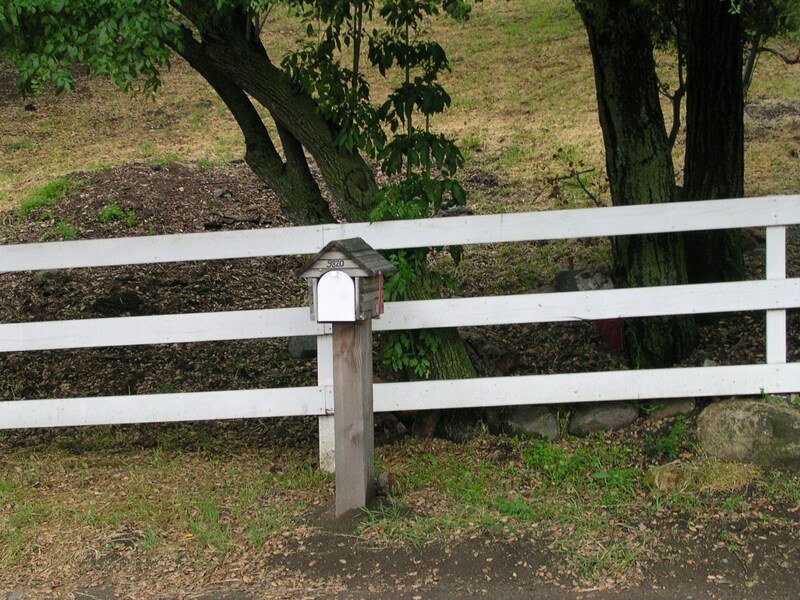 Cabin 21 PCT, here is one of the most egregious violators. 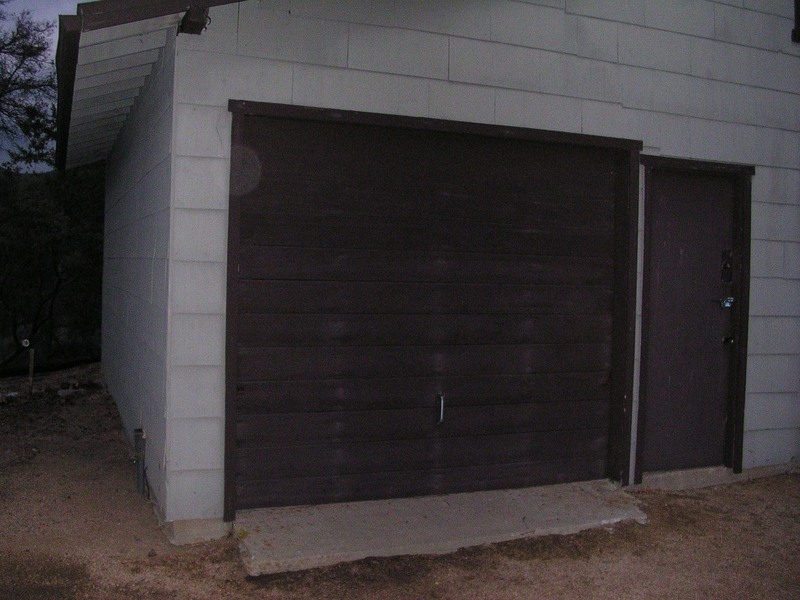 The cabin has an accompanying garage with an apartment above it, a clear violation of the rules. The apartment is not permitted and was not on their permit but FS grandfathered it in for the new 20 year permit. In fact FS told all cabin owners they were aware of numerous permits that over the decades were not updated to show new structures but would now grandfather them in on the new permits. 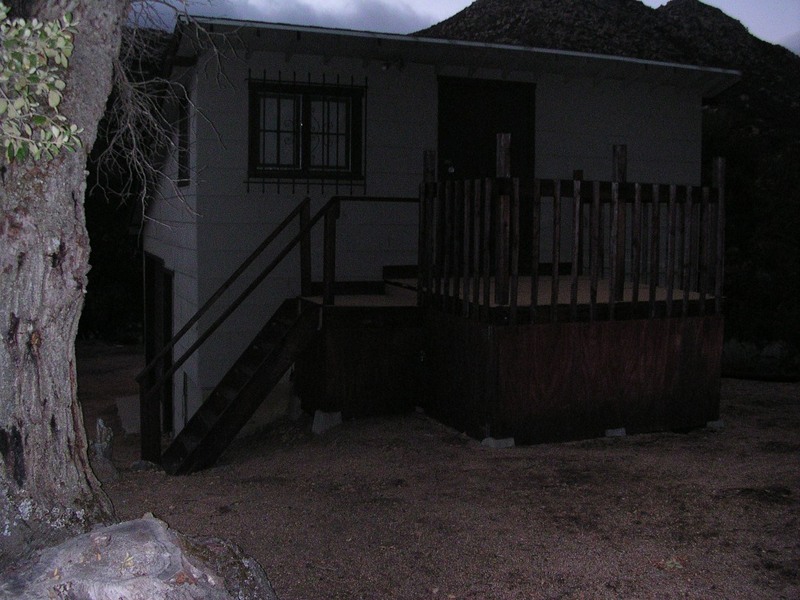 However, the owners of cabin 7 were not grandfathered despite the fact that their extra structures go back to the 1920's. 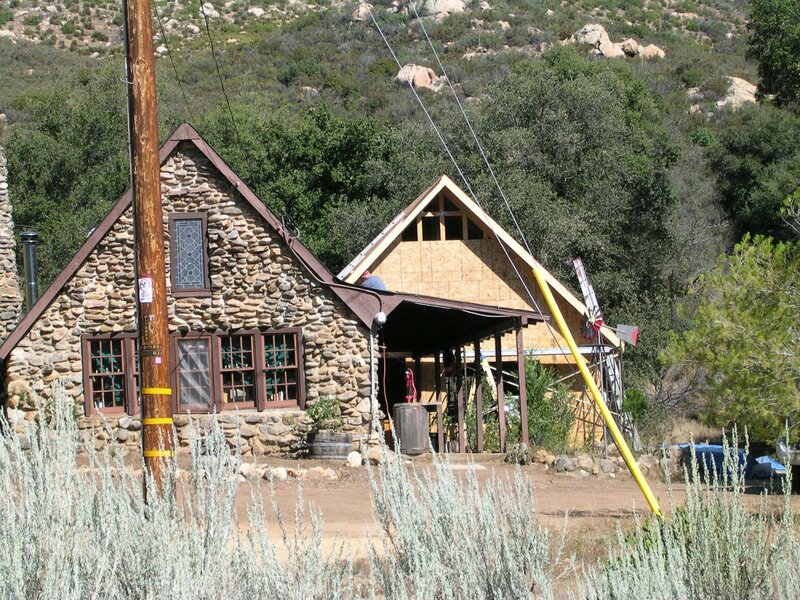 FS took a personal disliking of these people and not only did not grandfather the structures in but refused to give a new permit until the owners tore down the structures. 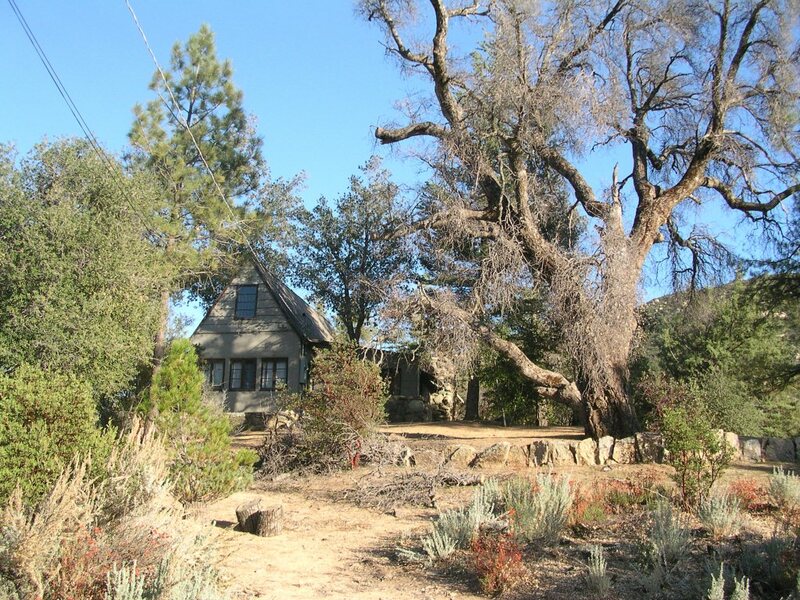 The owners refused to bow to such corruption and discrimination therefore FS used its might to squash them by seizing and destroying the most historic and beautiful cabin in the tract. FS abuse of authority, and malice towards the owners, had led to the loss of a part of history, a loss that cannot be restored, it is lost forever. 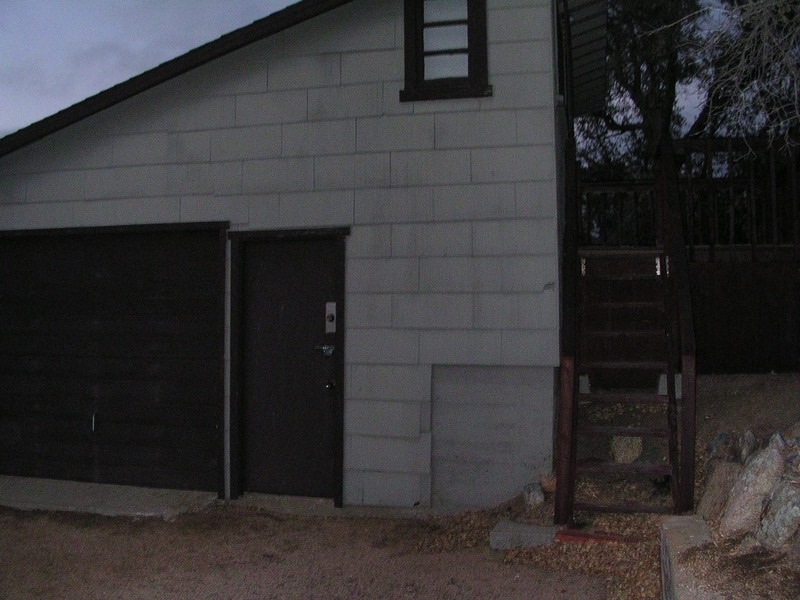 Cabin 23 PCT, massive shed, supposedly violates FS rules on size allowed, and it was recently built at the time of the cabin addition, still stands and the owners despite this supposed violation had there 20 permit renewed. Cabin 23 PCT, new addition on the right. 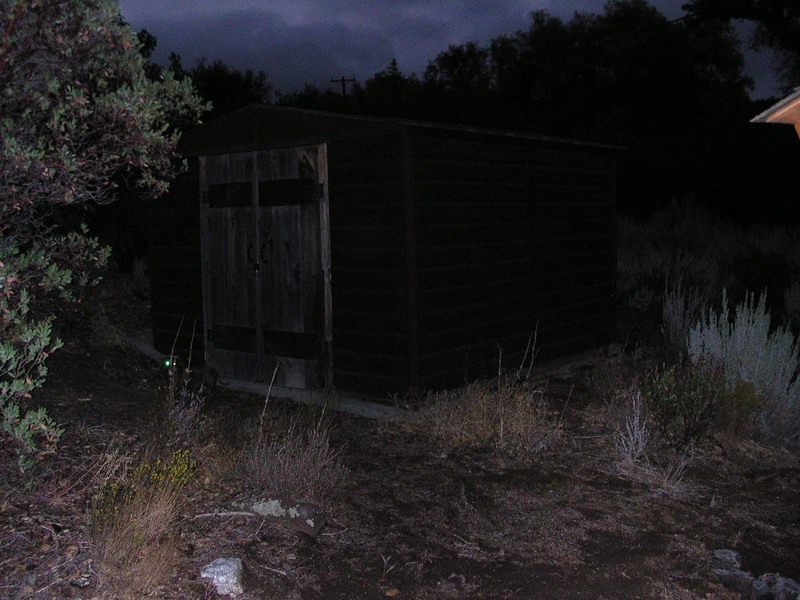 Cabin 23 PCT, massive shed. 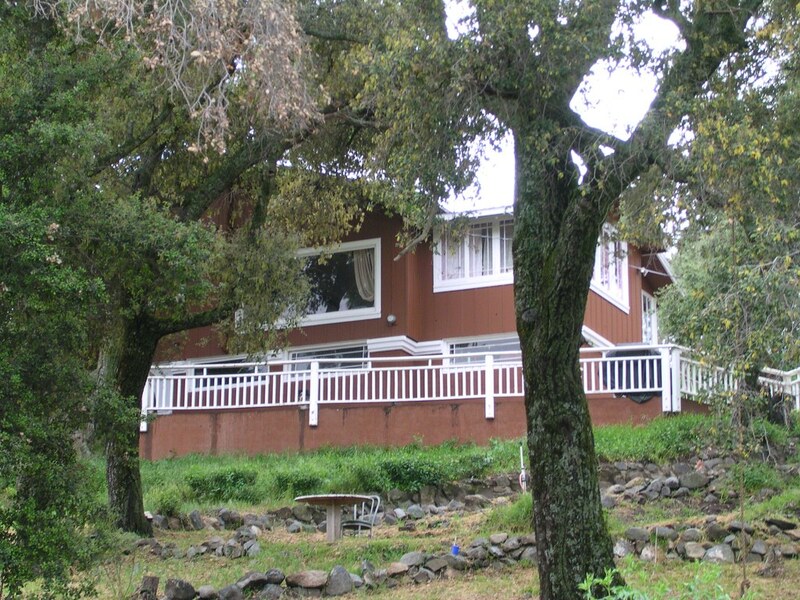 Cabin 36 PCT, extensive remodeling, FS authorized modern additions not in keeping with rustic and natural standards. Cabin 37 PCT, super massive shed, supposed violation of size standards, was grandfathered in and owners given their new 20 year permit. 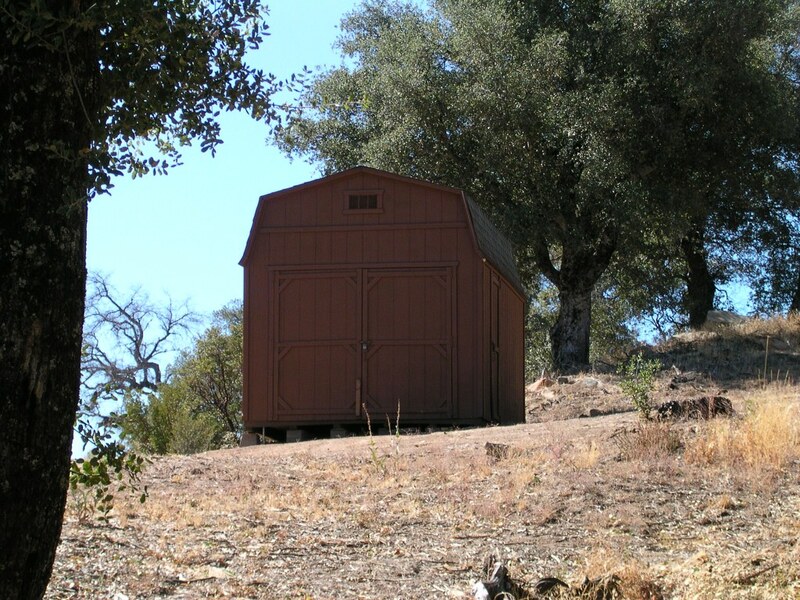 Cabin 14 PCT, massive shed, built just before being issued a new 20 permit. Size is supposedly a violation of FS rules. More palm greasing no doubt. 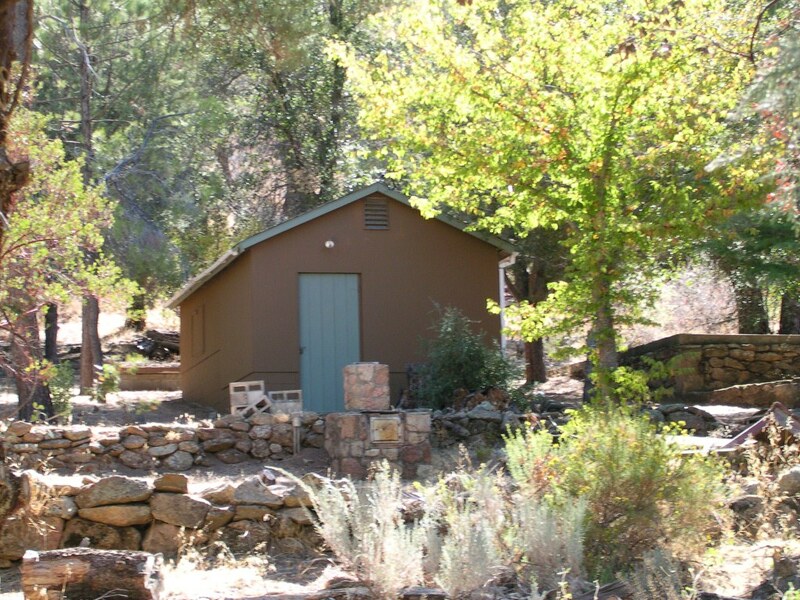 Cabin 14 PCT, a second shed. 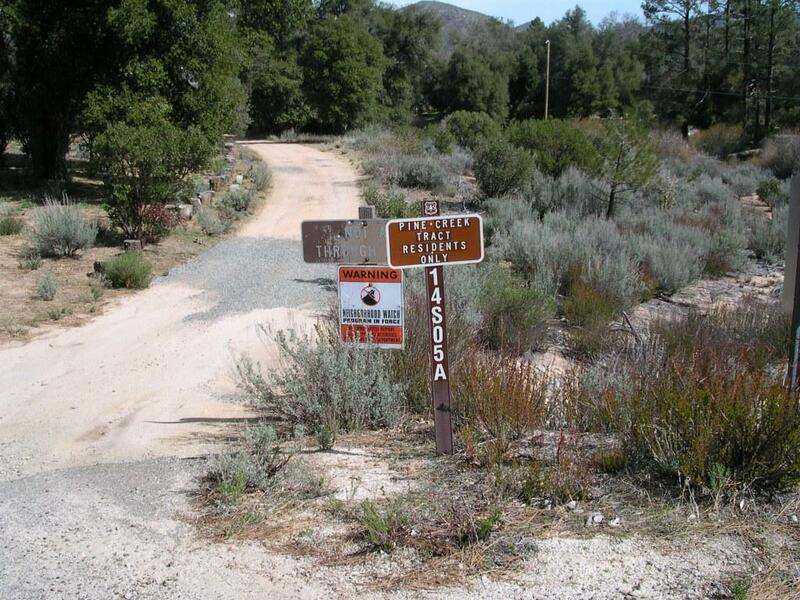 Entrance to a side dirt road in the PCT, it is out of the public eye therein exist the most egregious violators in the tract, Cabin 14, 25, 21, 23. Cabin 25 PCT, another picture.